There is a moment in parenting where you realize that you no longer have the advantage and you now know absolutely nothing. For me, it was the moment I was schooled by my kids on the new word for “cool”, which is now “savage”. Savage? Really? What followed was daily lessons of new social rules and slang. Trying to figure out the new world of pre-teen/teen is like my first few years as a new mom. You second guess everything and it seems like they are going to hit their head on every corner, or in this case be emotionally rejected on a daily basis. How do our military kids do this? Now before you freak out (I did), we adults aren’t doing so great in that department either. Unlike the Millenials before them, Gary Allan said Gen Z kids value the importance of family even more than career. This could be because they have watched their parents live out a heavy work ethic to secure the house, career, and status (maybe even our social media status). Considering it is their parents “work ethic centric” generation that is running the academic generation, is it any wonder that anxiety and depression is on the rise for these students? High school graduation requirements look more like college and grades/SAT scores are no longer enough. “Family” sounds like a good direction for the pendulum. Even bullying has changed. Both civilian and military parents have told me their Gen Zs have started to disconnect by putting in their earbuds to avoid interaction with aggressive kids, much like adults do on the subway. I think I would put my earbuds in, too. When it comes to military kid Gen Zs most adults I’ve spoken with agree that much of their character has been shaped by overcoming difficulty and rejection, resulting in more mature and confident kids. Many are often more comfortable around adults than kids their age. But that doesn’t mean they don’t need connection with their peers. All kids gravitate towards peers developmentally, which makes our military teens even more desperate for it. Yet, as I’ve experienced and heard from other military parents, that’s especially challenging in a civilian school where peer groups formed over years of neighborhood cookouts and team sports. It is difficult to advance in athletic skill with frequent moves or their sport of choice isn’t easily accessible. Gen Z’s have massive amounts of information at their fingertips. Gary Alan said in our interview that they rely more on internet research and their peer group than authority for figuring out their way ahead. However, our military kids are struggling to find that peer group and say they feel either completely ignored or bullied for their attempt to insert themselves. The concern here is that some military Gen Z kids would almost rather not form peer relationships at all than address rejection, bullying, or the effort to assimilate when they will eventually leave anyways. 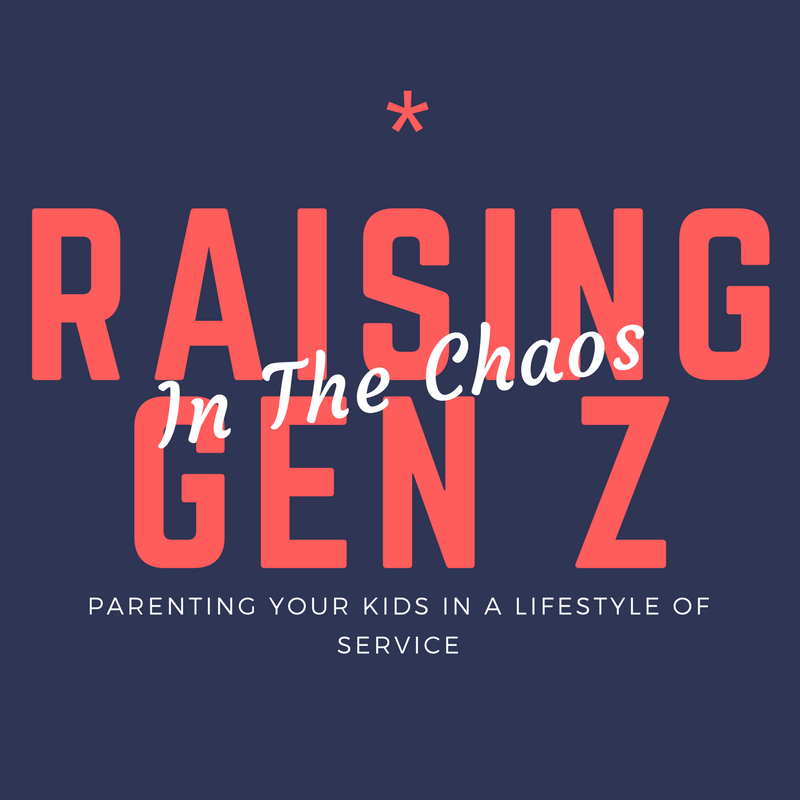 If you are like me and need encouragement (in most cases every week), here is what I have heard from reaching out to parents and experts in my current “Raising Gen Z’s” series on the LIfegiver Podcast. Family: The fact that Gen Z kids are valuing family more than ever makes it easier to plan intentional family time to talk about being a Gen Z Military kid. 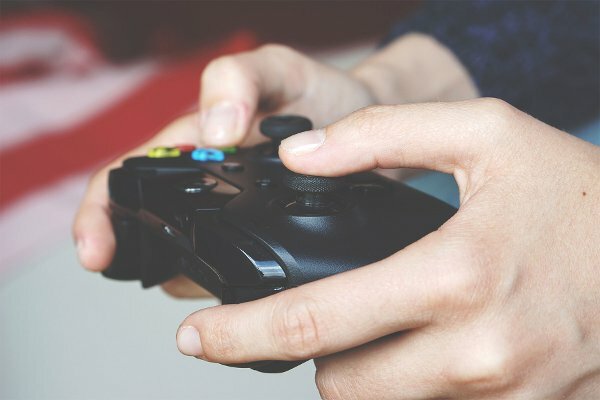 As much as they are connected to their devices, they will likely not complain after you have agreed to set all devices down for a game night. (Expect full tantrums beforehand, though). It really will be ok: The other day, I spoke with a military brat who is entering her senior year of college. She was brilliant. Brilliant in her social skills and maturity. She told me how prepared she was for the academic load of school, but more so for the rhythm she developed over the years to assimilate while civilian students around her fell apart. Even better, she described detaching from an unhealthy peer group because she realized her maturity made her a better leader than a follower- WOW! Speaking of leadership– One civilian parenting expert I interviewed, pointed out that our kids’ intensity while assimilating into the school system has a lot more to do with their leadership potential. This really encouraged me to redirect my kids’ emotional energy towards leading rather than following as a means of fitting in. This next school year, we hope to have the boys be military kid ambassadors for incoming students. Wise Connections– Perhaps the answer for our kids isn’t assimilating the way we would “back in the day”. In a culture where bullying or meanness is ramping up, why not encourage our kids towards smaller circles? A few close friends is not only realistic, but models what adults do. I’ve looked forward to this season with my kids for a long time. I enjoy the dialogue, the jokes around the table, and watching them evolve into awesome bigger people. Parenting the next generation has been a lot harder than I thought, especially with the challenges of the military lifestyle. I know every parent in the history of the world has said that, but I now see the importance of educating myself. Even if that means my kids will be the ones to school me- memes and all. My own awkward and painful memories of middle school flooded my mind. I had watched my son, only 12 years old and now in seventh grade, enter gracefully into a mostly civilian school mid-semester with dreams of performing in the talent show a year later. As a military spouse, I have figured out the rhythm of moving, making friends, and starting over. But as a parent, I must confess, it is painful to watch your kids go through it. Now my husband and I were about to jump out of our skin as we watched the entire middle school file in to watch tender hearts perform their best, and one of them was ours. For the last year and half, we listened at the dinner table as he shared his efforts to look for a seat in the cafeteria, sign up for after school activities and teach himself soccer during recess. Day after day, he got back in the game even if no one passed him the ball, until one day he said he finally scored a goal. He is a self-motivator, no doubt, something I think we find in most of our military kids. But watching from the sidelines as a parent is intense. On a recent Lifegiver podcast episode I interviewed Pam Brummett, a mentor-friend of mine that revolutionized my view of parenting. When I first met Pam, her kids were far older than mine, her oldest in middle school while I was still freaking out about potty training. This family impressed me. They lived, and still do, a life of service — and their kids are very much part of that mission. One day, after I had sat with a new widow for three hours, she and her children came into my house and cleaned it from top to bottom. No complaints, no push-back. The kids knew exactly what their efforts were for and that changed my view of parenting forever. Now Pam’s kids are in high school and college. I got to sit down with her to find out how she does it. Here are a few things that made a big difference for her. You can listen to the full interview here. The most important thing to teach your kids is respect and love. Pam and her husband learned to choose their battles, but respect was crucial. Saying “ma’am” and “sir” taught the kids to be respectful toward their parents and others. Safe affection has always been in the home. Pam says her children still come in to greet her when they walk in the door with a hug which she playfully says is not negotiable. Relocations will not ruin them. Pam said her kids look back with great memories of all the places they have been. In fact, the only time they struggled was in a school that was mostly civilian, where they felt few understood them. As her kids now enter college, she said they are over prepared for independence as well as life’s disappointments. Turns out, military life doesn’t ruin your kids. Be a part of their lives. Pam has always made her kids’ friends feel welcome in their home. When she realized the kids were going to Starbucks for long study sessions, she purchased coffee and snacks and now hosts them in her home. This way she can keep an eye on the teens and get to know who her kids are hanging out with. On her last birthday, some of them even stopped by the house to give “Momma Pam” her birthday hug. Back in the middle school gym, it was almost time and I was hoping all that Pam had told me was true. We saw a hint of his shoes from under the curtain and my stomach dropped. They announced him stage and the entire gym erupted with giant screams. I even heard some of the other kids chant his name. The curtain opened and the gym continued to cheer. My heart gripped in my chest as my husband and I looked at each other in astonishment. Every day wouldn’t be like this and the next school would bring a completely different set of challenges. But today, these kids had no idea how they were changing my son’s life. Their cheers rewarded the courage my son has for years had to dig deep to find. Constantly showing up, pushing through the tough stuff, and re-inserting himself all paid off. And his performance? Well, he nailed it. As a mother of two boys, moving three times in two years has been especially difficult. I have worried that the military lifestyle will have a negative impact on their lives. Like many of you, I have held them as they cried when leaving teachers and friends. I have even pulled my youngest son off the fence in the backyard when he was convinced he could run away back “home”. I absolutely love supporting my husband as he works hard in his calling. But sometimes, watching my children struggle is enough to make me doubt it all. Anyone who works with military children will tell you they have an amazing ability to adapt to new circumstances. They learn valuable tools that will make them extremely successful in the “real world”. As Brene Brown, a researcher, once said “children are hard wired for struggle”. Over protecting them actually does more harm than good. Sometimes I have to remind myself that our lifestyle is all they know. They have not experienced living in one place their whole life. I also remind myself that what I am feeling inside is not what they are feeling. 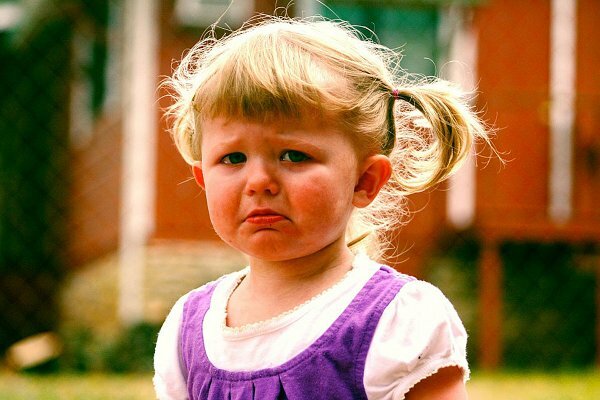 Mommy Guilt, is actually shame. Telling myself “I am a bad mother for _____” is extremely unproductive. You can identify it by almost any negative statement that starts with “I am…” I am a bad person, I am unworthy, I am unloved, I am a horrible parent… Known as the “swampland of the soul”, shame can spiral into a place where no one can save you but you. None of it is true, and it is up to you to pull yourself out. Guilt, on the other hand, is admitting I have done something wrong and then making it right which is very productive. If we can identify something we have done wrong, we are usually motivated to make it right. I have already seen the battle of shame start in my child’s life. Knowing how to differentiate the two and modeling handling it in our own life is a powerful tool to teach our children the same. So when the warm wash of shame comes over me, I pull myself out of it, comfort my boys, and tend to their heart. I assure them that life is never easy but we have each other. If needed, I explain the calling on our hearts as adults and how they will one day feel a call too. Their role is an important part of our team. To tend to my own heart, I know I can go to my more seasoned military spouse friends who assure me that my kids will turn out more than fine. They share with me their own stories of parenting and the importance of keeping the marriage team strong. I am so thankful for these mentors in my life who share how they raised successful well adjusted adults. Their example and willingness to serve in the “village” of the military culture paves a path of success for my own family that is priceless. It is also a reminder that we are all part of the village. That we, too, get to pay it forward as we serve another parent struggling.